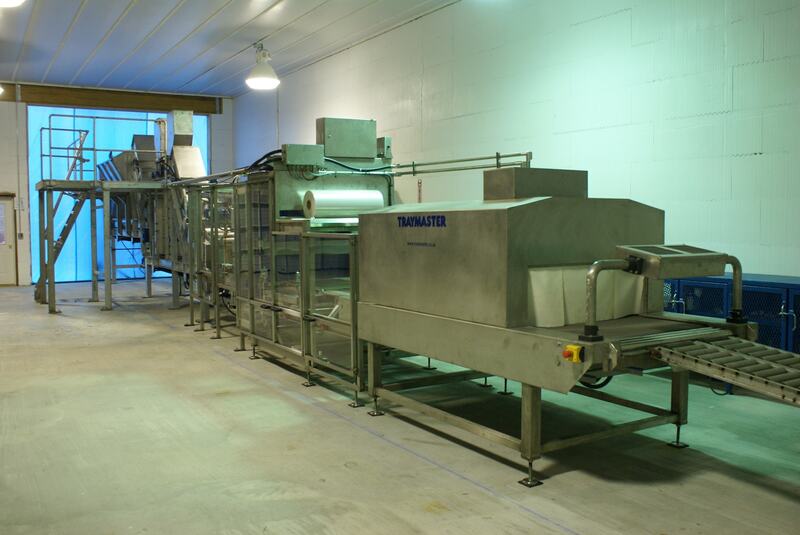 Tunnel filling cassettes with filling rates from 40 to 250 tonnes per hour. 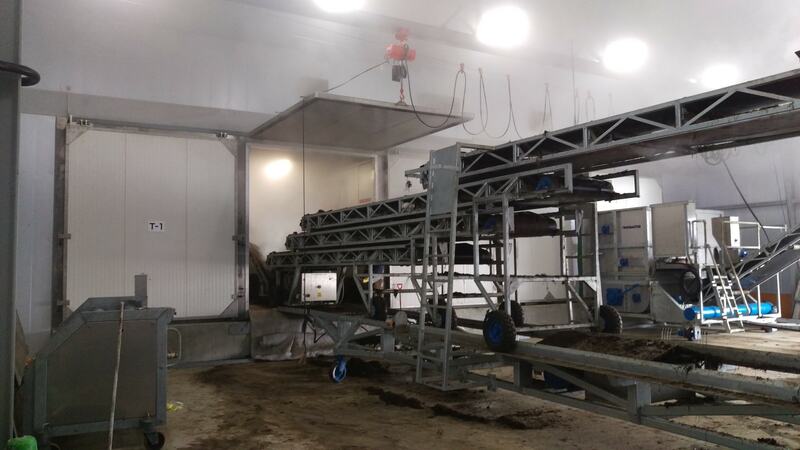 Filling tunnels 3 to 5m in width. 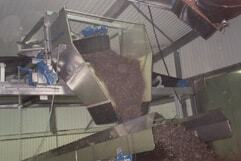 Tunnel Emptying winch, emptying from 20 to 250 tonnes per hour. Tunnels widths from 3 to 6m in width. 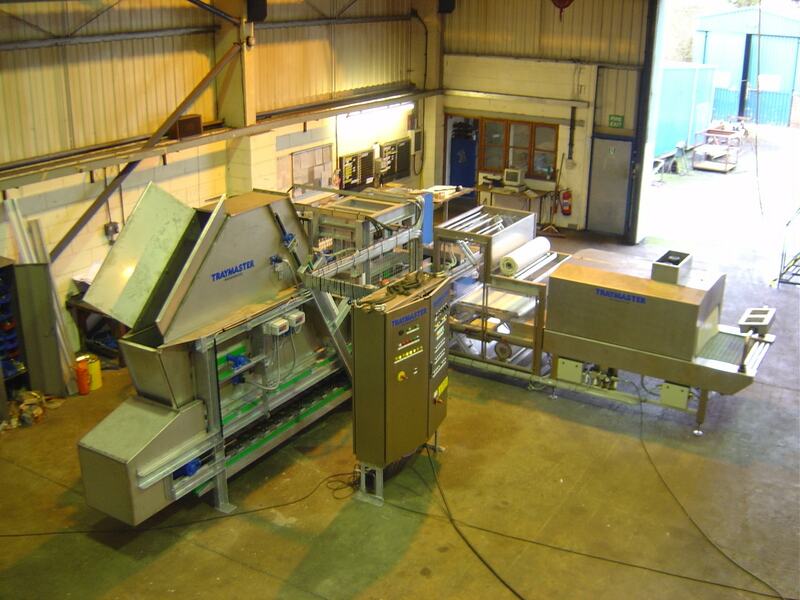 Various sizes and processing rates of over head conveyors. 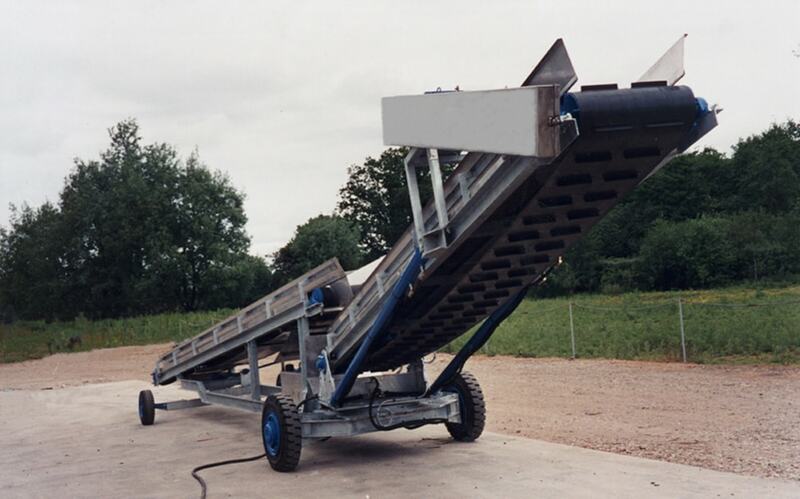 Various mobile or fixed conveyors. 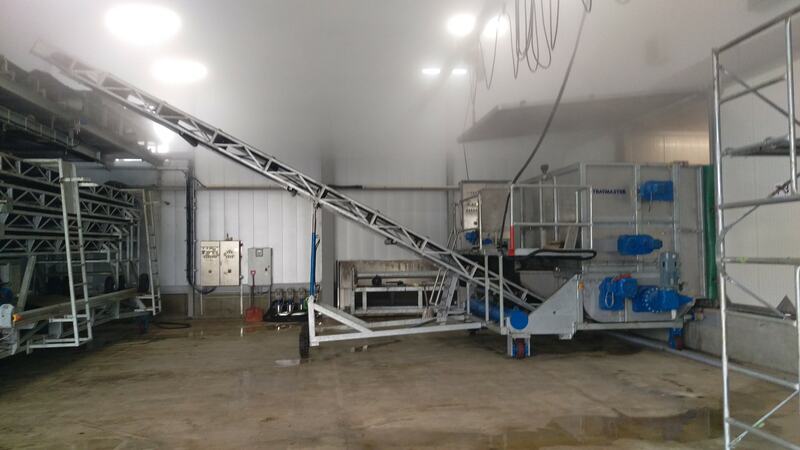 Compost blocking machine with throughputs of 400 to 900 blocks per hour. 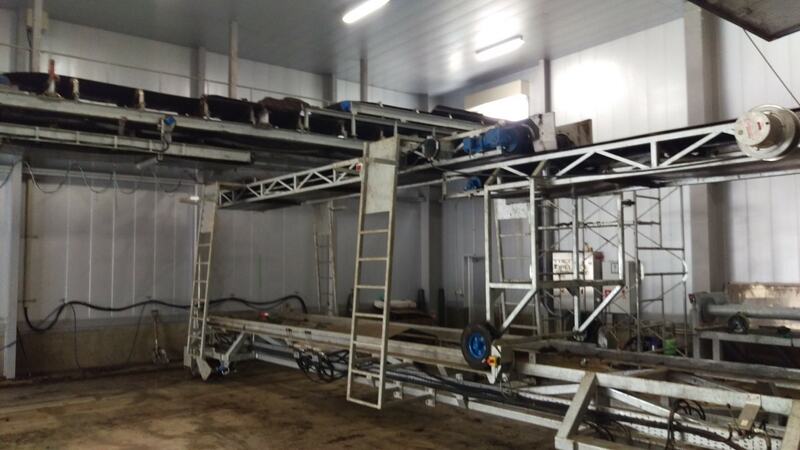 Phase II block making machine capable of variable length blocks. 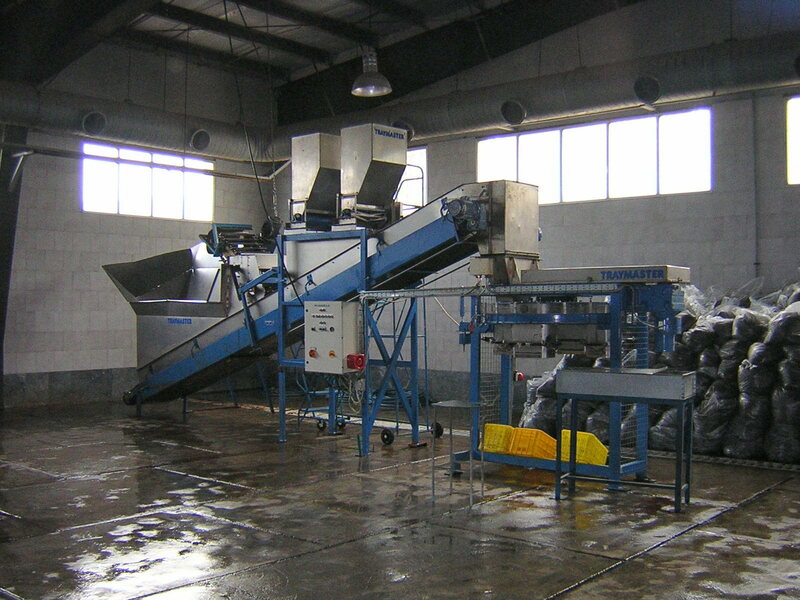 Carousel bagging machines from 400 to 800 bags per hour. 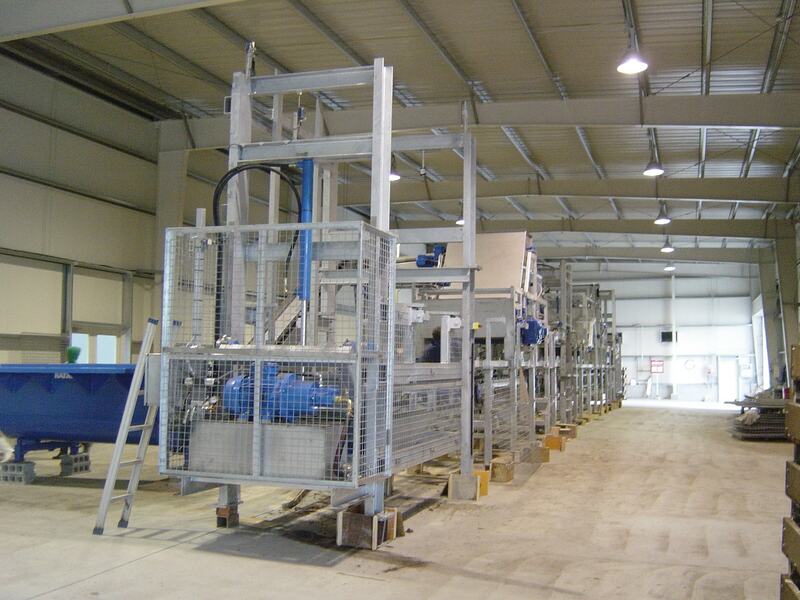 Various tray handling equipment for filling, spawning, casing and emptying a variety of size of trays, from 20 to 200 trays per hour. 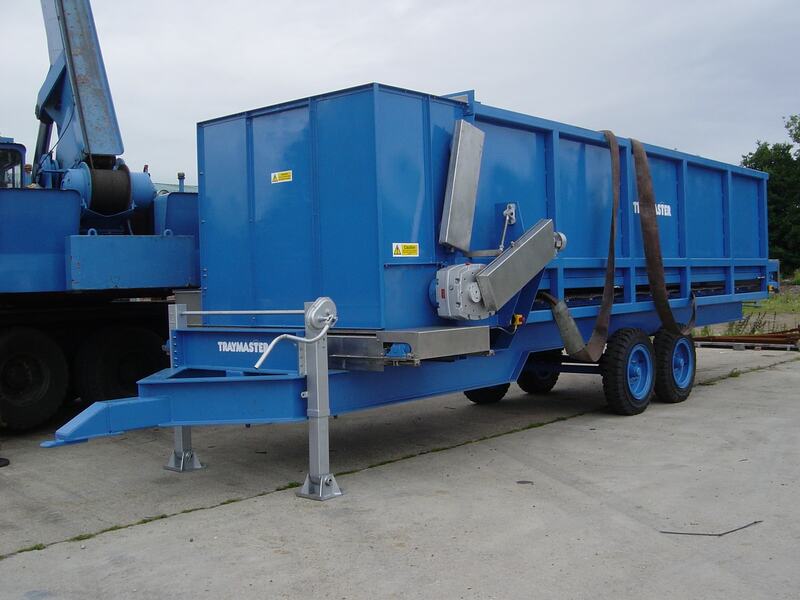 Trailers of various sizes to move and deliver Phase I, II and III compost. 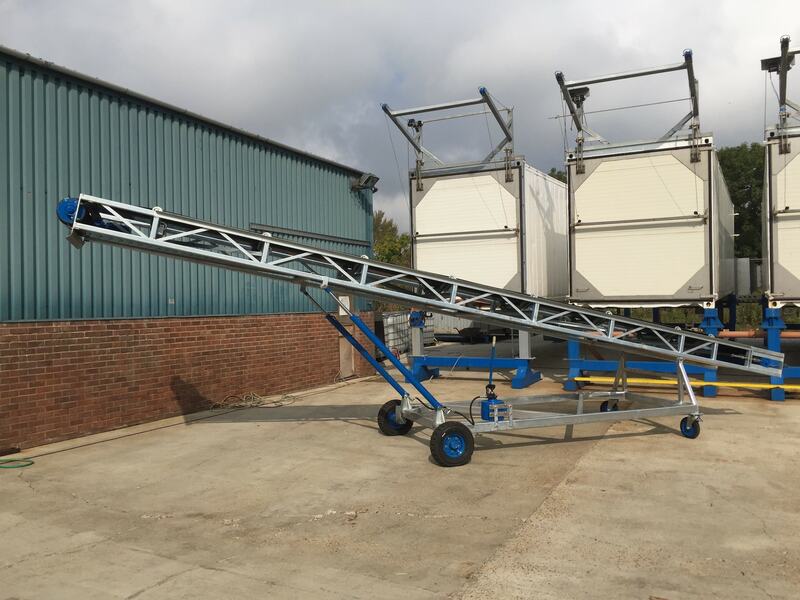 Diverters for moving compost between conveyor systems from over head. 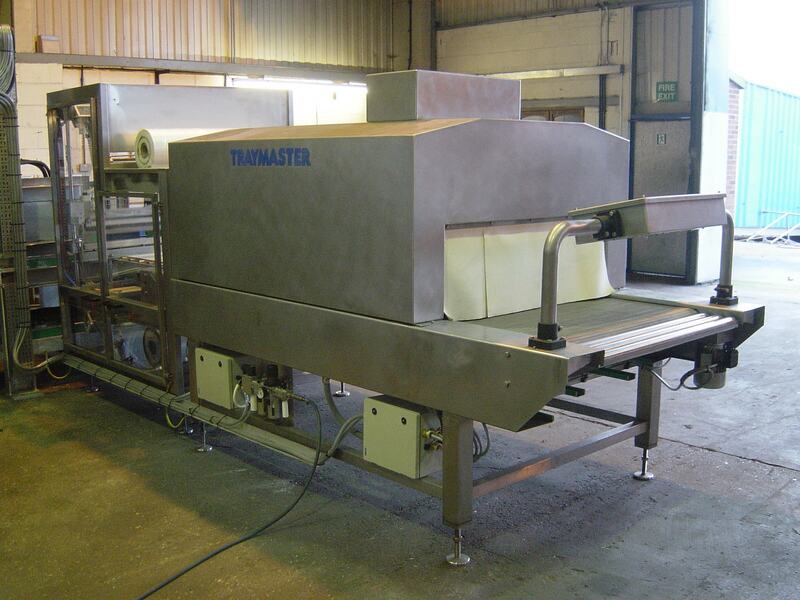 Traymaster manufactured block shrink wrap tunnel; constructon from stainless steel.